Holiday.gr - KEFALONIA, a trip to a myth! 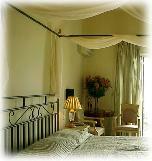 Been to KEFALONIA ? Share your experiences! Kefalonia is an island that impresses every visitor with its unseen natural beauties, historic monuments and hospitality of residents. 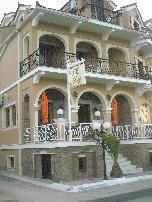 It is the biggest of Ionian Islands, with an extend of 730sq. Km. 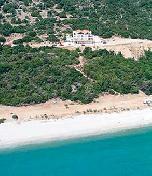 It is right across the Patraic Gulf, south of Lefkada and north of Zakynthos. It is an island with tense alterations. Green verdurous landscapes, abrupt slopes, lacy shores, golden beaches, gulfs, small ports and graphic ports. All these create the unique feature of this island. Kefalonia is the hilliest island in Ionian. Enos is the most important mountain of it, with the highest top, Megalo Soro (1626m. height). The hilly bulk of Ainos with rich fauna and flora has been characterized as a National Park since 1962. Highly impressive is the fir forest. The various kinds of bushes, and foxes, rabbits, beech martens, and rare specimen of birds, like petroperdika and fidaetos impress visitors. 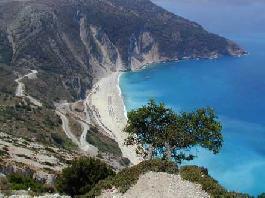 Apart from the endless natural beauties, Kefalonia has an important historic route to show. It is revealed in the remarkable historic monuments, castles and archaeological sites, we meet as we tour around the island. Eptaneseans distinguish for their religious faith. Churches, monasteries in the island, as and legends connected to the establishment of them, reveal their faith. Something that is shown especially in the way they worship Saint Gerasimos, the protector saint of the island. 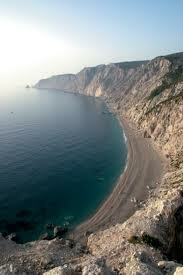 In general, residents of Kefalonia, distinguish for their liveliness and friendly feelings. Their culture, as in all Ionian Islands, is influenced by Venetians, the conquerors of all Ionian Islands for a long time. Music and dance are inextricable parts of their life, while their hospitality is exemplary. The island’s tourist infrastructures get better and better every year. 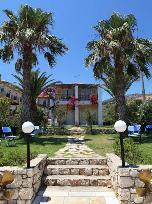 Kefalonia has evolved to a high standard tourist resort. Thousands of visitors visit the island every year in order to know its natural beauties and mysteries. It is one of the most beautiful and famous islands in Greece, which has inspired the producers of Hollywood to shoot here the movie “The mandolin of captain Korelli”, of big success. 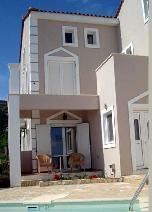 Schedule your vacation in the beautiful Kefalonia and let her carry you away.